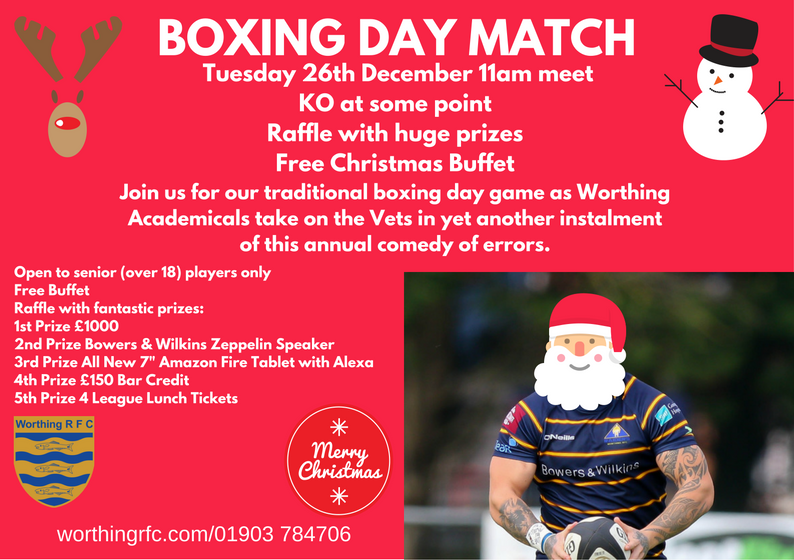 Worthing RFC is proud to present this year’s boxing day extravaganza, as The Academicals take on the Vets in another grudge match to clear out the Christmas cobwebs. 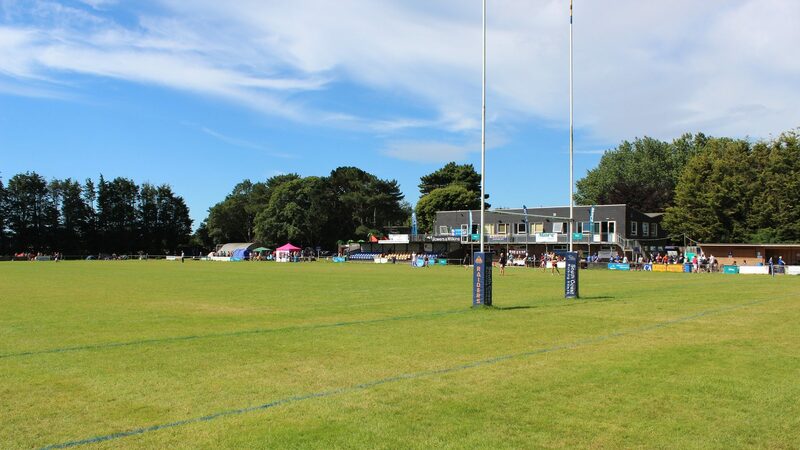 Come up to the club to enjoy our free Christmas buffet and maybe a small tipple whilst watching one of the most anticipated matches of the year, that promises to show rugby at it’s best; from the farcical to the dazzling! To buy your ticket, visit, the office between 9am and 6pm Monday – Friday or alternatively enquire at the bar.